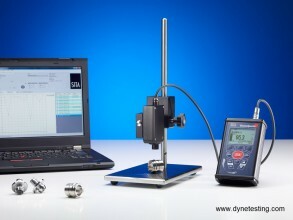 Surface cleanliness testing instrument for measuring oil, grease and cleaning fluid contamination on metal surfaces. Monitoring cleanliness on manufactured metal parts during and after the cleaning process is imperative to ensure surfaces are free of contaminants before the next manufacturing process e.g. assembly, sealing, gluing, painting, printing, lacquering etc. This metal cleanliness tester also known as the “CleanoSpector” is a simple, handheld non-destructive cleanliness inspection instrument for measuring organic oil, grease or cleaning fluid contamination on a metal substrate and can be used on the production line or in the laboratory. 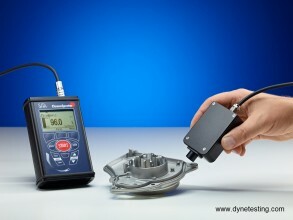 uorescence measuring device and has been specially designed for this purpose. 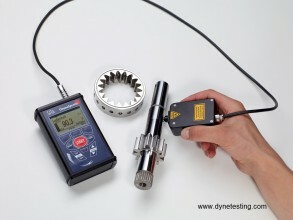 The test results are measured in the degree of the cleanliness of metal parts in percentage format. It enables the parts to be evaluated directly at the process and the level of cleanliness is measured by the touch of a button with the result shown within seconds. Enables detection of various organics like residual oil, grease, cooling lubricants, separating agents etc. Direct comparison of parts with same contamination. 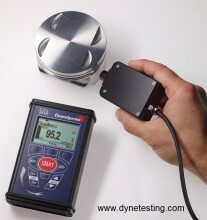 The measuring principle is simple – the instrument detects contamination due to its’ fluorescence which is excited by a UV light emitting diode (UV LED). The fluorescence intensity depends on the amount of contamination found on the surface at the measuring point, i.e. the higher the fluorescence the more contamination found on the surface. Automotive crank shafts, pistons, cam shafts and con-rods after cleaning. Controlling layer thickness of anti-corrosive agents, oils, waxes or bonding agents. If you would like to discuss this product please contact one of our Sales Team and they will be happy to answer any questions you may have.